Rumors that Caitlyn Jenner’s reality series on E! would be canceled were confirmed on Tuesday, in a tweet posted to Jenner’s account that thanked the cable network and her costars. Less than two weeks ago, both Jenner’s rep and a spokeswoman for E! denied the rumors reported by a tabloid website, but late Tuesday confirmed the news in Jenner’s tweet. 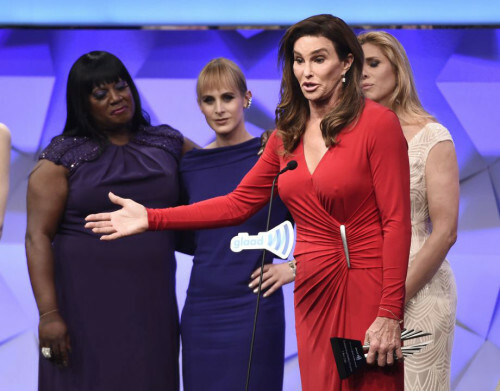 “We are incredibly proud of the two seasons of I Am Cait, a groundbreaking docu-series that sparked an important and unprecedented global conversation about transgender people, their struggles and triumphs,” said a spokesperson for E! in an email to LGBTQ Nation. Earlier this month, Radar Online quoted an unnamed “production insider” who told the website, “There just weren’t enough viewers,” and “The show can’t compete with other programming.” Radar also reported that transgender viewers had not embraced Jenner and found her out of touch with the community. I Am Cait debuted in summer of 2015 to blockbuster ratings and mostly positive reviews, but the audience numbers were not consistent and E! focused its publicity on DVR viewership, which appeared more positive. The docu-series featured the former Olympian as she began her life living full-time as a transgender woman, exploring relationships with other women, her celebrity friends and family and highlighting the plight of transgender children. Rumors flew that she was considering or possibly dating co-star Candis Cayne, another transgender woman. Jenner called Cayne her BFF on the show and the editing suggested sparks were flying, although there was never an on-camera consummation — other than one very passionate kiss. One of the most popular members of the cast was Barnard professor and author Jennifer Finney Boylan, who provided a progressive counterbalance to Jenner’s conservative views, and counseled her on learning the ways of womanhood. The Daily Beast dubbed Boylan “Jenner’s voice of reason” on everything from “dressing-up” to politics. Also in the cast were writer Kate Bornstein, Chandi Moore, Ella Giselle, as well as Zachary Drucker for parts of seasons one and two, and Her Story’s Jen Richards in season one. But cancellation does not spell the end of Jenner’s television career. In addition to appearing on episodes of E! Keeping Up with the Kardashians, which stars her daughters, step-daughters and ex-wife, Jenner is slated to appear in the upcoming season of Amazon’s Transparent, playing herself.